Race day – it truly is special. As the purpose built machines line the grid, the quiet idling of their hungry engines a deceiving tone. Just minutes before the red lights go out; the exhaust notes scream held back only by the bouncing rev limiter of the launch control. The paddock thick with anxiety. The rivalry, the tension, the noise and drama. As the green flags drop the machinery comes to life, and a torrent of power is unleashed across the asphalt. Exciting right!? But there is a lot that goes into getting everyone into position on time. 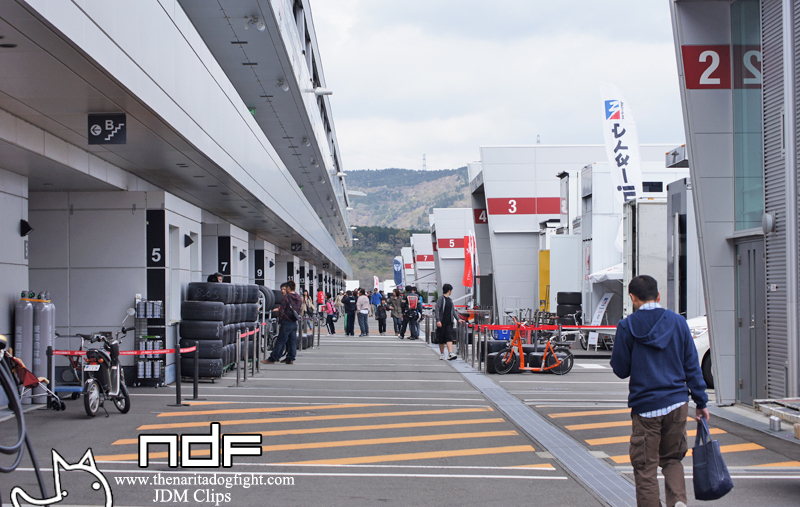 Our friends at JDM Clips got some great behind the scene shots in and around the Pit area of the first Super GT round at Fuji Speedway. Click past the break to check it out! Hundreds of crew members and engineers work endless hours to create, improve, and maintain each of their cars to ensure they are in top form for the drivers. 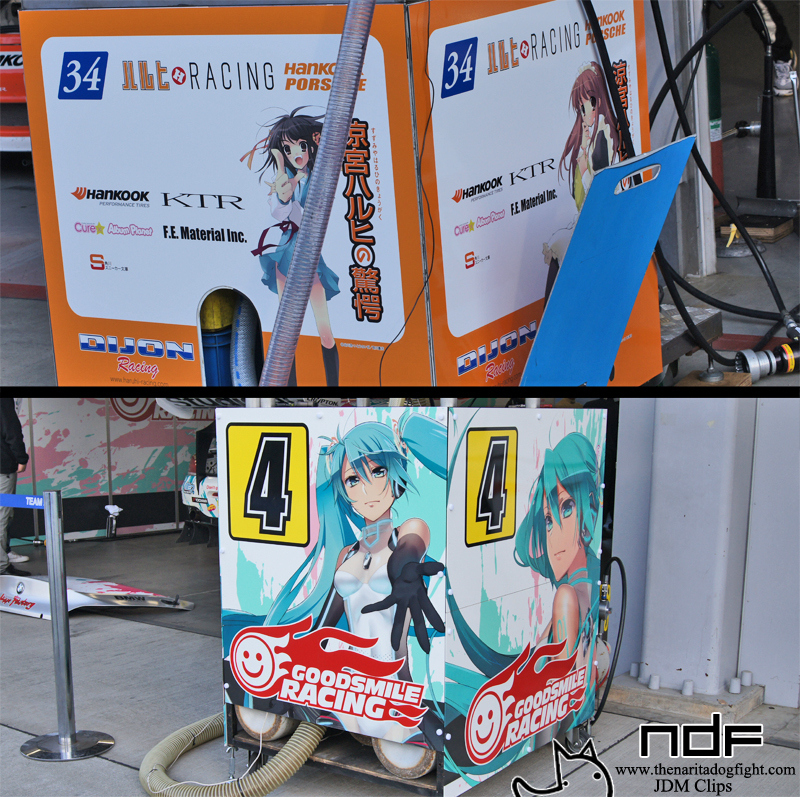 It all adds to the aura that surrounds motorsports though. Each person involved, even the fans, contributes to make the sport what it is. 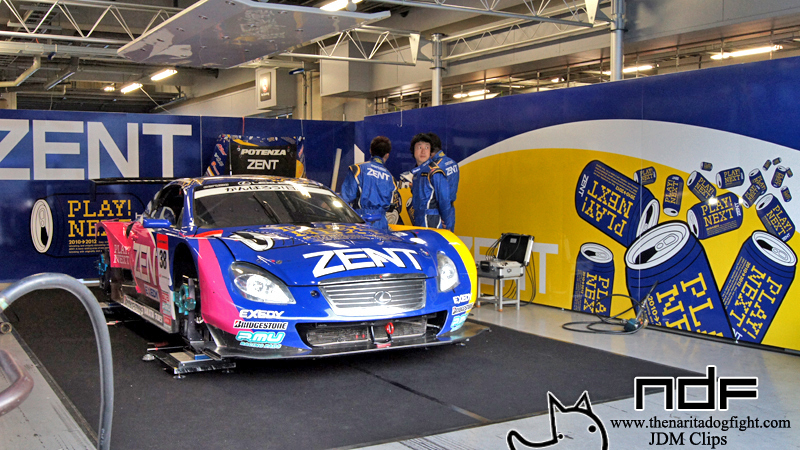 A view from inside a garage looking toward the pit lane. Looks like the SC430 is going to get a new driver as the team racks up the practice runs. The hustle and bustle of the garages. 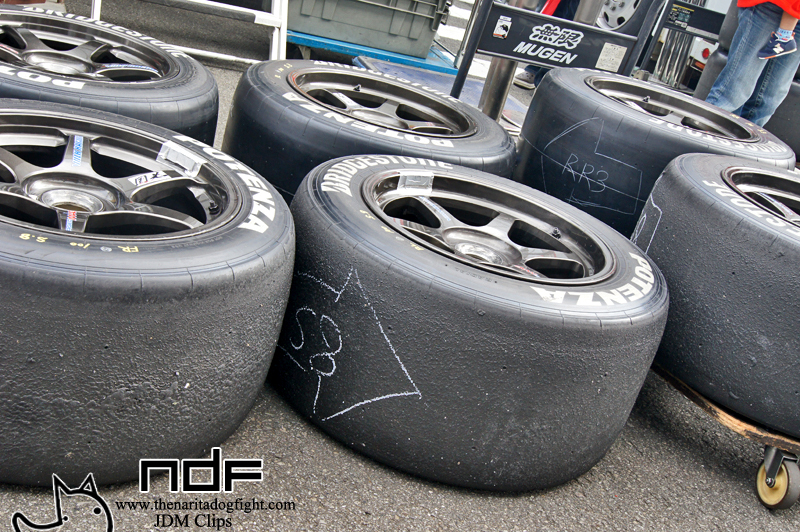 Tires! Lifted with the air jacks, the engineers give the NAC LMP Ferrari a once over. 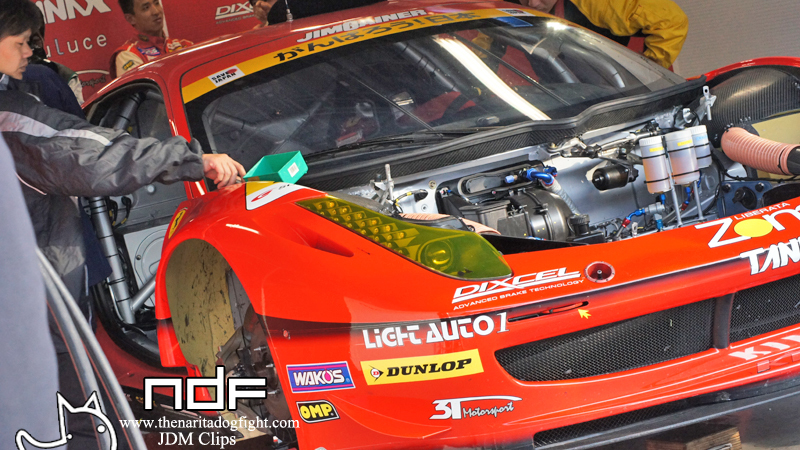 The new 458’s look super awesome in GT dress. 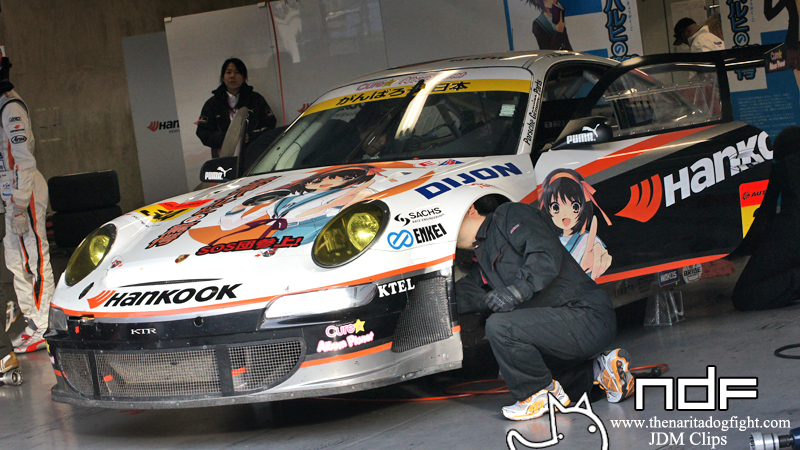 …some teams have anime themes that even adorn their support equipment. 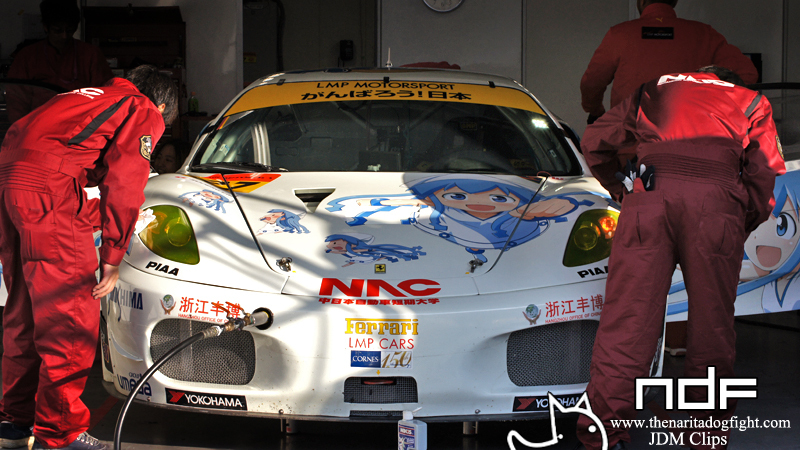 Evangelion themed Super GT car? Yes, please. Check out the horizontal suspension setup! All that dry carbon work is pretty amazing. 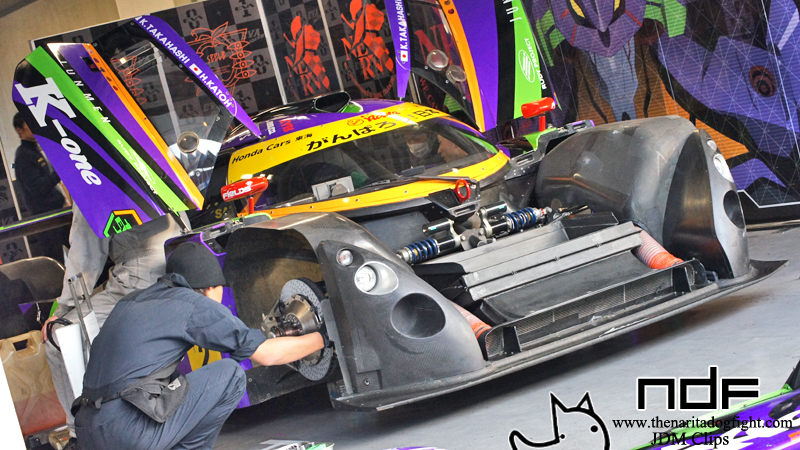 There is always something to be done to a race car. 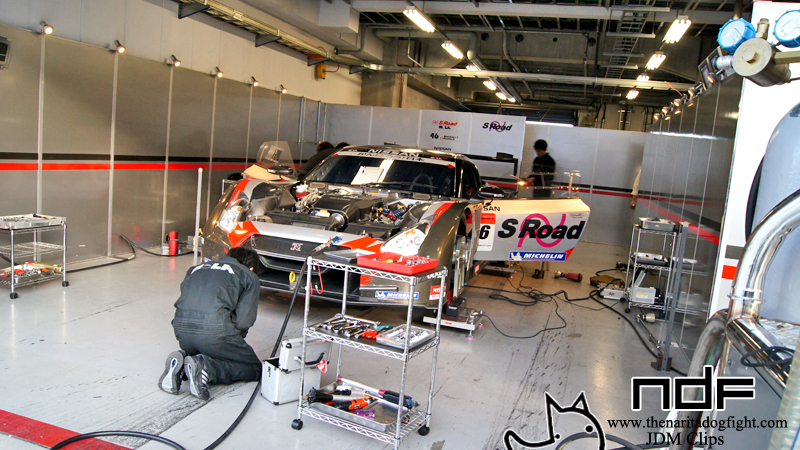 The S Road GTR35 looks like it’s on life support in this shot. Here is an interesting entry into the Japanese series. 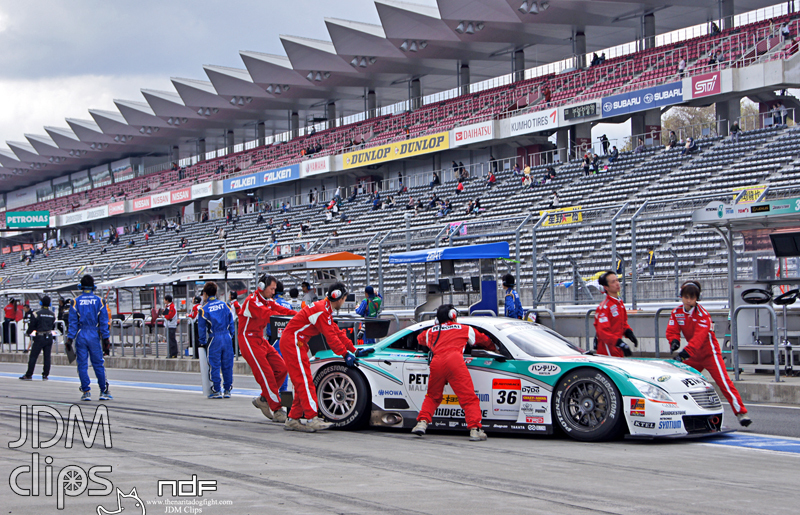 The Corum GT300 Corvette – actually Chevrolet is no stranger to the Japanese GT series. If you follow the Le Mans GT series, you’ll know Corvette is doing fairly well there. 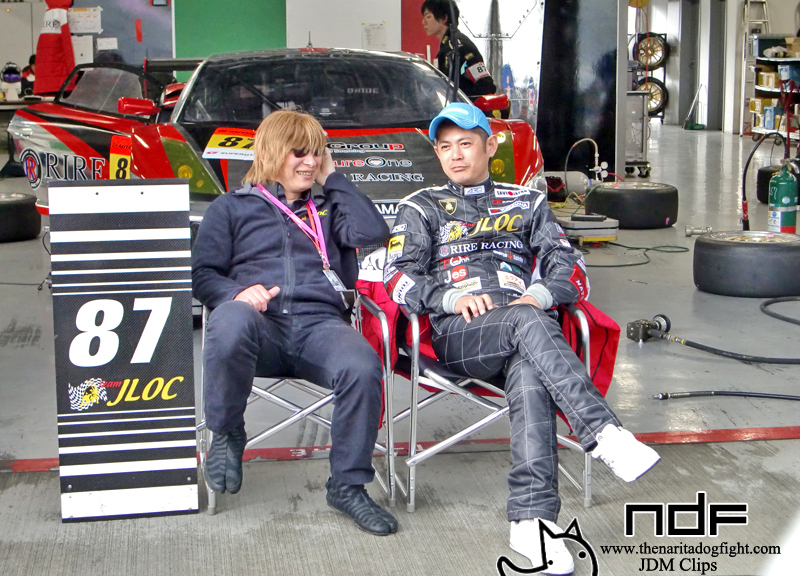 Hopefully they have the same luck this year in Super GT. 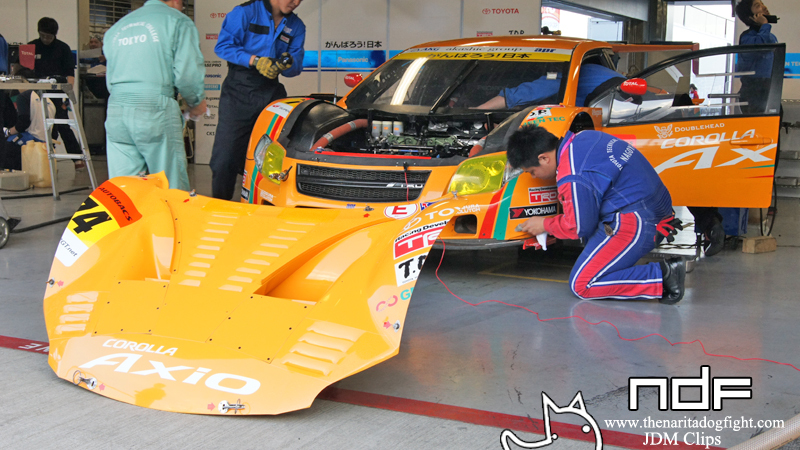 The GT300 Axio. A very interesting car. I snapped a few pics of this at Auto Salon. 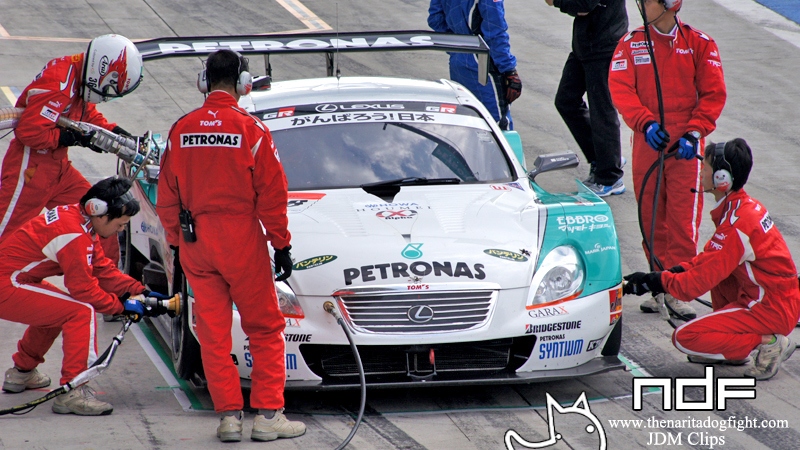 One of the cleanest looking garages belonged to the SGC Lexus. Classy. Another Chevy entrant. RUN UP! Looks like the mechanic is running up to fix something. …pretty sure I know this guy too, especially because I had a brief conversation with him in Tokyo a few months ago. 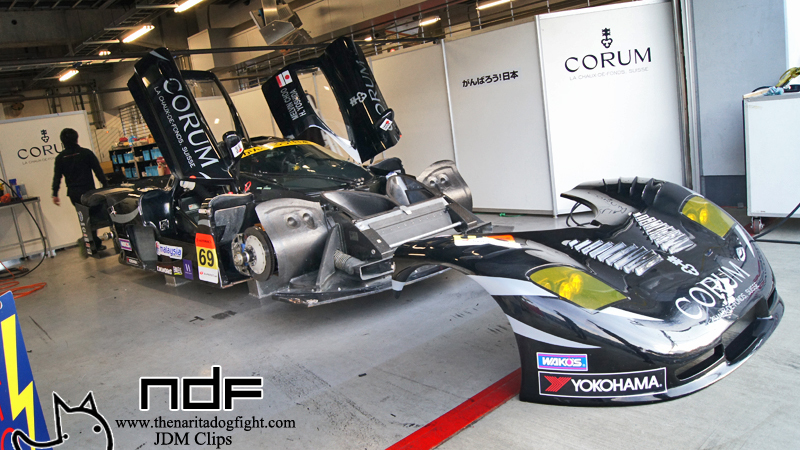 Orido chilling in front of the RIRE Lamborghini RG-3 – unfortunately they could only manage 14th place last weekend. I’m digging that dudes ninja shoes. 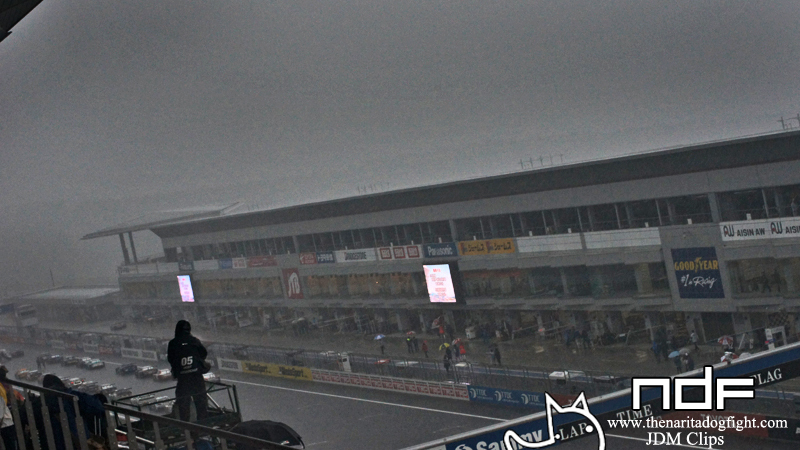 If you didn’t believe me in the last post about the inclement weather on race day, here is a little proof for you. Feel like taking pictures? 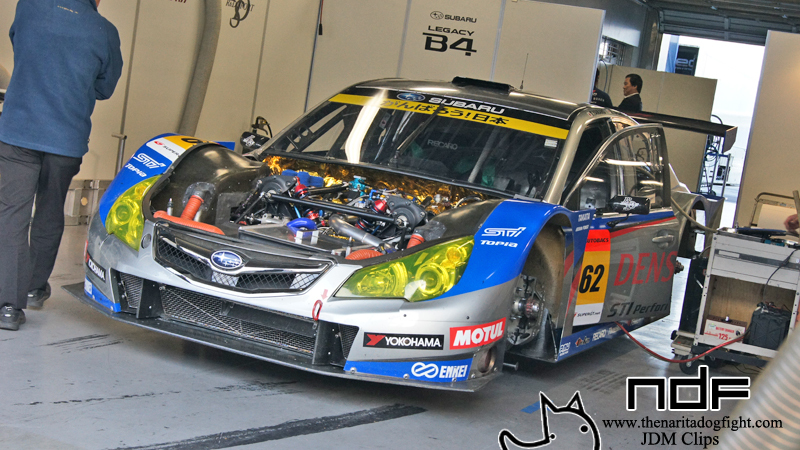 Hope you enjoyed the alternative view of the first (second) round of Super GT. 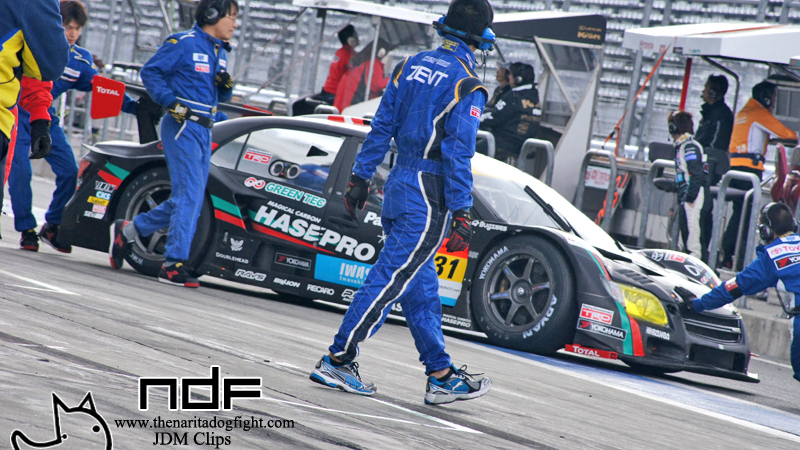 Thanks again to JDM Clips! 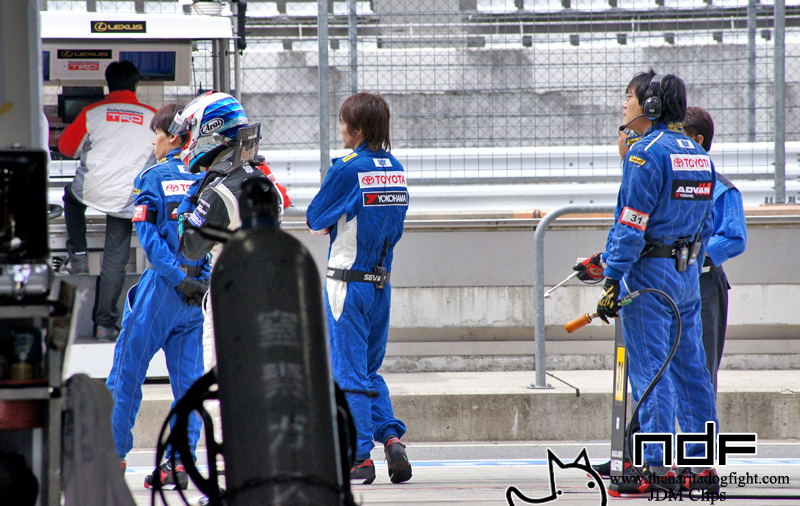 Good luck in Okayama!